I hadn’t used my Trollbeads Chakra Colours bead for a while so thought I’d bring it out. I put together a bracelet using the bead and then one bead for each of the seven colours represented. However, because I don’t have a massive collection I had to use beads of different shapes and brands, so it’s not exactly a cohesive look. Plus, I built the bracelet from one end, putting the colours in the order they are on the bead instead of building the bracelet from the centre out like I usually do. So, let’s just enjoy the pretty colours and not worry about the composition, ha ha! 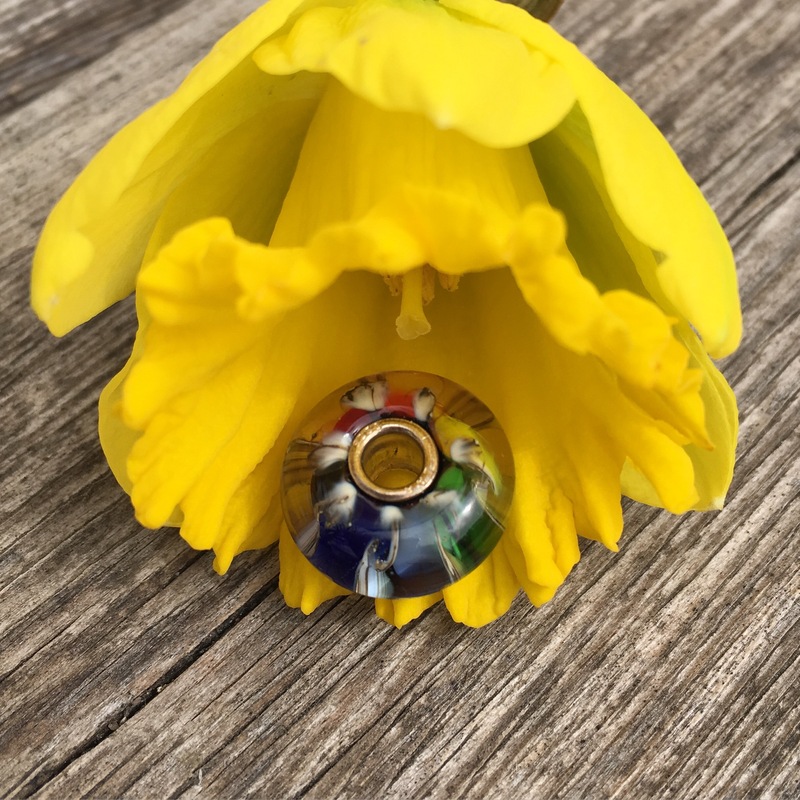 First things first…a daffodil actually bloomed in our backyard! 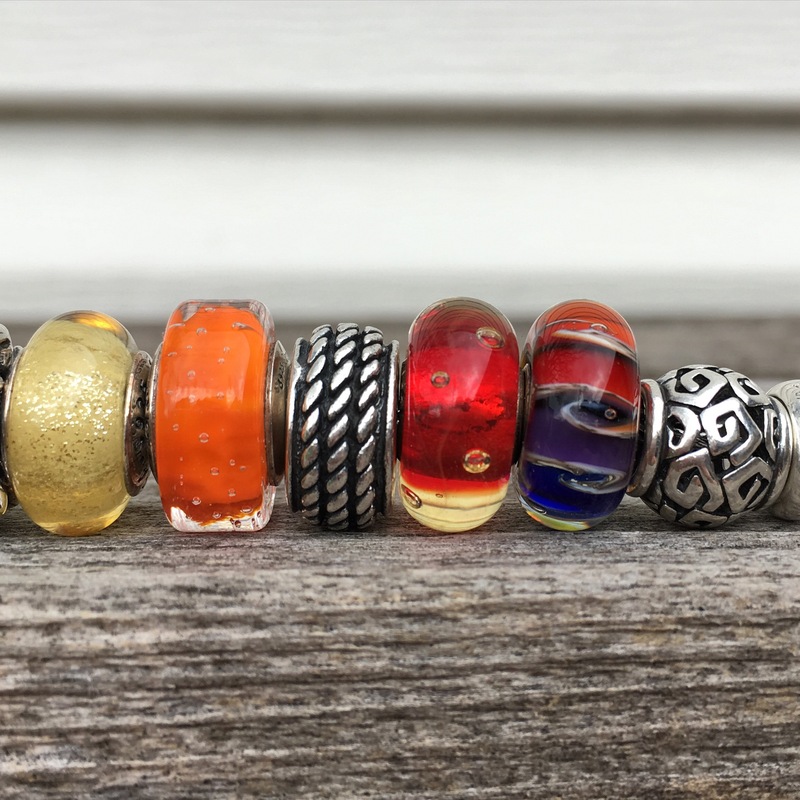 Looking left to right are the Pandora Amazing, Ohm Beads Get in Shape, Pandora Blue Fascinating Iridescence, Redbalifrog Rope, Trollbeads Faceted Aurora, Pandora Disney Tinkerbell Murano. Below starting in the middle are True Beadz Silver Hyacinth, Disney Pandora Belle Murano, Ohm Beads Live Your Fantasy. 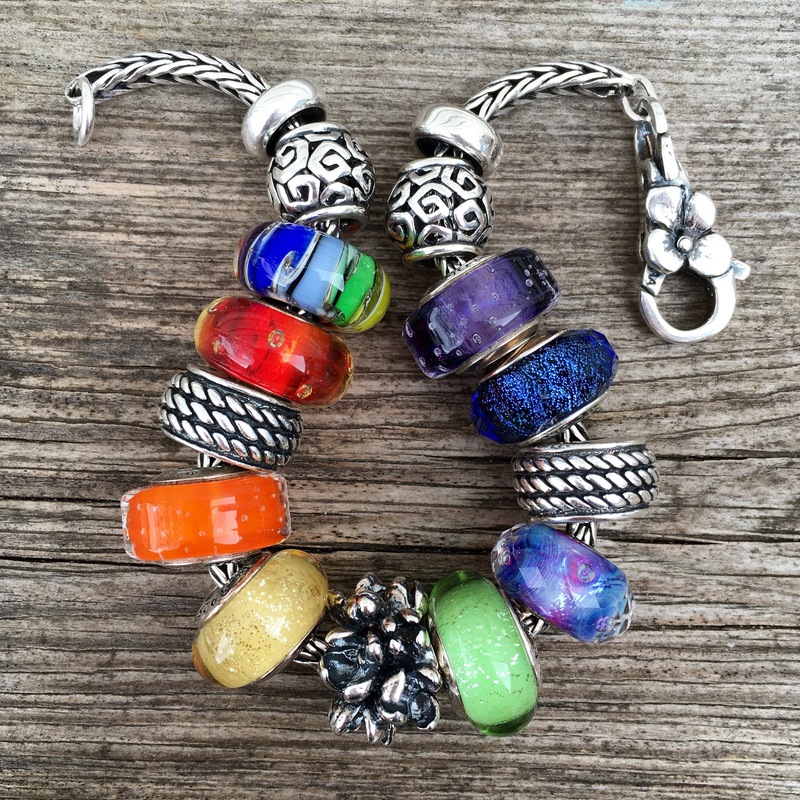 Finally, after the Rope bead are a Trollbeads Unique, the Chakra Colours and Pandora Amazing again. One thing I did get accomplished that’s bead related is I organized a drawer for bead boxes and polishing cloths! A lady on Instagram posted a photo of her organized drawer and it inspired me to do the same. I used some Ohm tissue paper as the drawer liner. 😀 I do think I’ll have to start looking at proper storage solutions for beads soon. 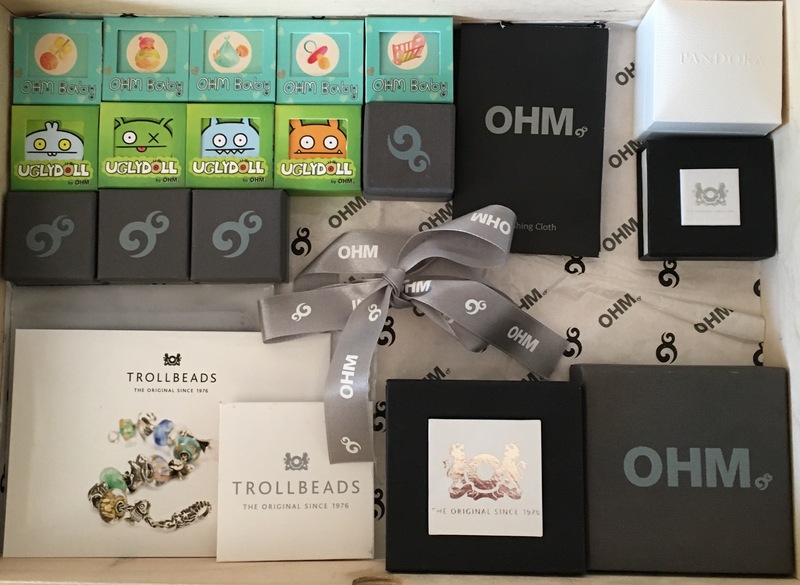 Right now I have my bead racks for glass, the silver is back in my Pandora anti-tarnish box but it’s now full and my X Links are in an unattractive box. I’ve heard of Stackers (?) but if anyone has something they use that they like, please let me know! One of the things I enjoy most about your blog is how seemlessly you “cross-bead”( new term), I think it really works here! 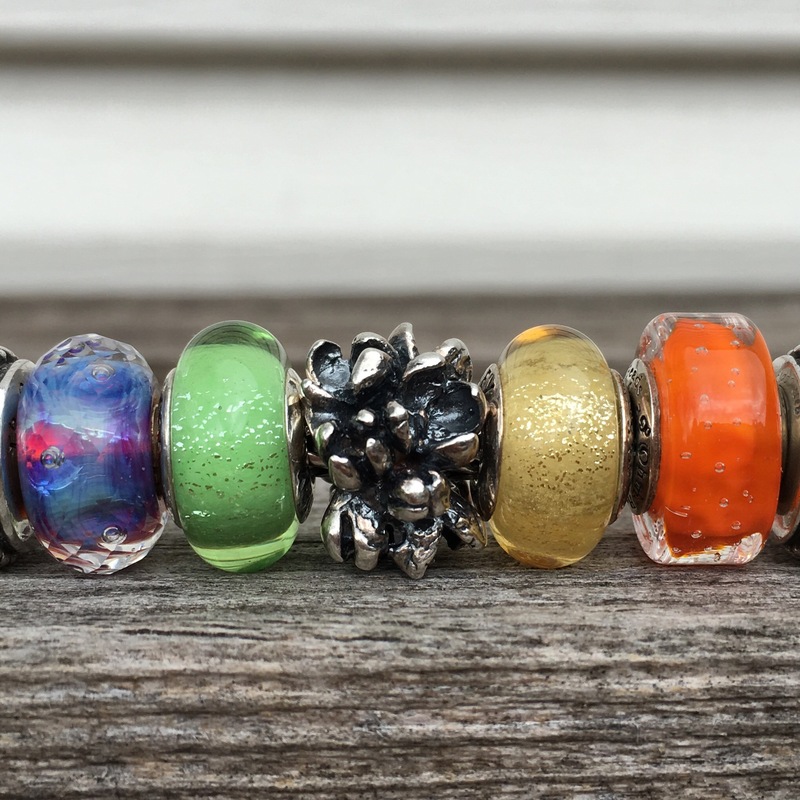 I really like the Pandora Disney of course, but, dreamy Trollbeads Faceted Aurora is working its magic on me. Thanks Sarah. The funny thing is I was in a bit of a panic when I was finished showing new things, but then it was very fun just to choose beads based on colour. That Faceted Aurora is a total dream, but super hard to find. That one I found by chance at that store in Exeter! Pandora Disney ones are forever on my wish list still, as I don’t tire of them at all! 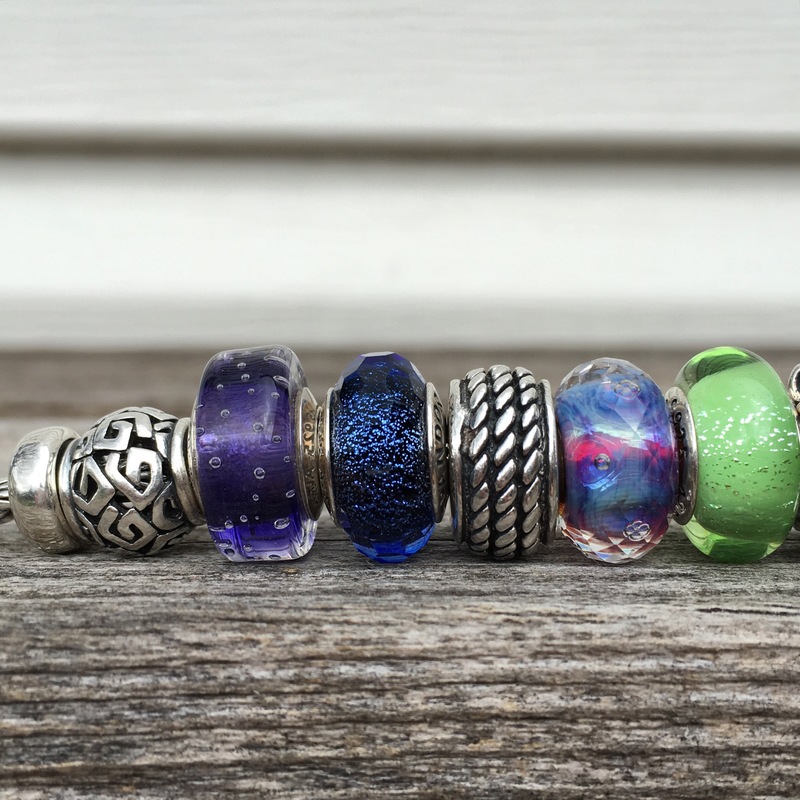 Bead storage is a huge problem! For little things they sure do take up a lot of space!!! Stackers are good. I don’t have them as I was lucky enough to get a big Pandora jewellery case with two levels when I was buying gold charms. More recently when Essence first came out I binged and got a three layer GWP Cream coloured pandora jewellery box. Pandora in the UK have started selling the stacking jewellery boxes and I think from memory they are reasonably priced, although Stackers are cheaper.